I am sending good thoughts and prayers his way - he is such an amazing human being, inspirational to people of ANY religion, I hope he gets better soon!! Spreading peace of mind instead of pieces of mind. Love the guy. Hope he's ok.
Ommmm my ... time for meditation on his eternal vibrations and his recovery if he wishes. I hope he will be better soon, I will pray for his health. I am afraid you are right, but I don't begrudge the reticence. Even a public figure is entitled to privacy, and particularly regarding health; in fact, maintaining a patient's privacy can aid in recovery. They are telling us enough that we know to pray (meditate, send light, etc) for him, and that we can do and are doing. Everyone, send strong, meditative good vibrations of healing bright lights, and "hear" musical ,long-held notes as you do so. Take deep, slow breaths. Picture him smiling and well and celebrating his wellness. Thanks Roger. This is sad indeed. I am being warned, for some same reasons, to make time to sleep, and times to meditate on nothingness---and so I fear it may be his heart. I hear he takes the same supplement as I chose for myself---it's an ancient Tibetan herbal formula. All the Dali Lamas keep their immune system up and increase their circulation with it---Padma Basic.I will be tuning in on him---as I know many will be. This is one of the purest, most beautiful souls ever to walk on Earth. Love. Peace. Healing. Wishing him well! Even as an atheist, I've gone to hear him speak on several occasions and found him wise, compassionate and....(BIG SURPRISE) funny! 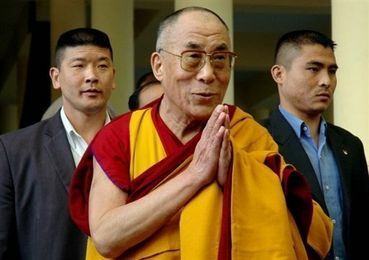 I really hope the Dalai Lama's health improves, whenever he dies he will be a great loss to us all, I feel. At 80 ... he does too much. Needs to take things easy.